Automatically reloads web pages after any number of seconds. * Auto-refresh and auto-reload pages after any number of seconds. * Set different delays per page or tab. * Remembers your settings per page. * Remembers web page scroll position. * It just plain works! 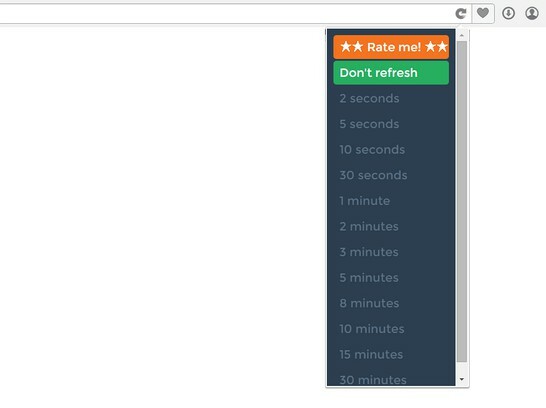 Automatically refresh and reload any page or tab after a specified number of seconds. Simply select the number of seconds between reloads and Start. You can specify different intervals per tab. Settings are saved per web page URL. To stop auto-refresh, just click Stop. Super Auto Refresh is an easy extension to auto-refresh and auto-reload your pages with ease.